The Untermyer Performing Arts Council is presenting The Bookends as our second program of World Fest 2018 at 7:30 p.m. on Saturday, June 30th at Untermyer Park, 945 North Broadway in Yonkers. 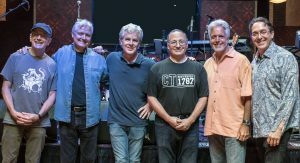 The Bookends’ eclectic mix of original composition and interesting covers arouses a full range of emotions, making them one of the most popular Westchester area bands. These uniquely gifted vocalists will present a wide range of music from the Classic era, bringing a night of eclectic surprises to Untermyer Park! Covering the gamut of music from the 60s, 70s and 80s, their repertoire ranges from the best of The Beatles to Billy Joel to Elton John to the Eagles, making this group perfect for our summer season. 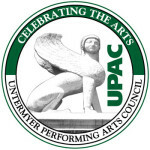 This definitely is another “don’t miss” Untermyer Performing Arts Council World Fest 2018 evening under the stars! In case of rain, call the Untermyer Performing Arts Council’s Arts Line, 914-375-3435, or visit our website at www.untermyer.com after 2 p.m. the day of the performance for confirmation of the program’s location. This year our rain site will be Saunders High School, 183 Palmer Road, Yonkers. This entry was posted in Press Releases and tagged Music Rock Untermyer Park Yonkers Bookends. Bookmark the permalink.